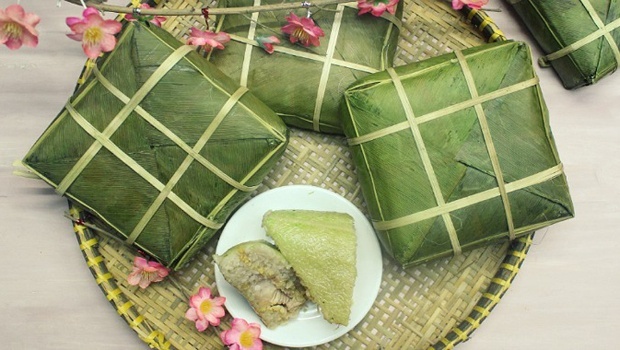 Bánh Chưng – Vietnamese Chung Cake is a highly regarded food in Vietnam in the Lunar New Year – Tet Holiday (Tết Nguyên Đán). 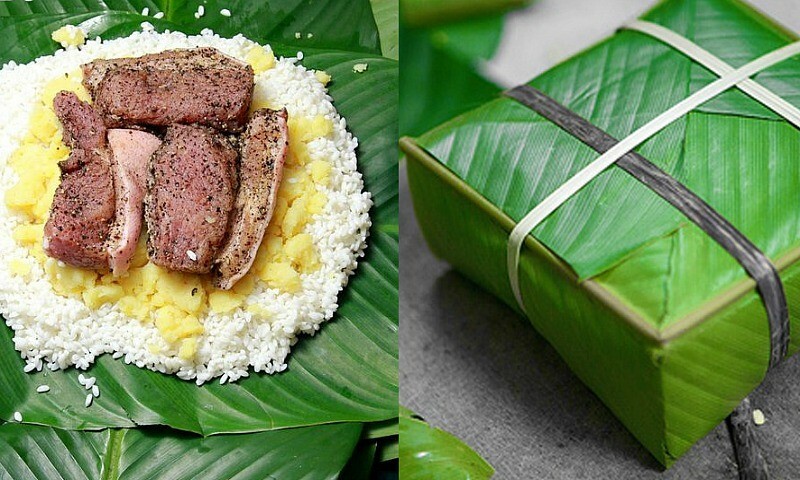 This dish is the most popular and tasty traditional Vietnamese food, which is an irreplaceable cake of Vietnamese people during the Tet Holidays –a great occasion for family members to get together and express their gratitude to their ancestors and homeland. 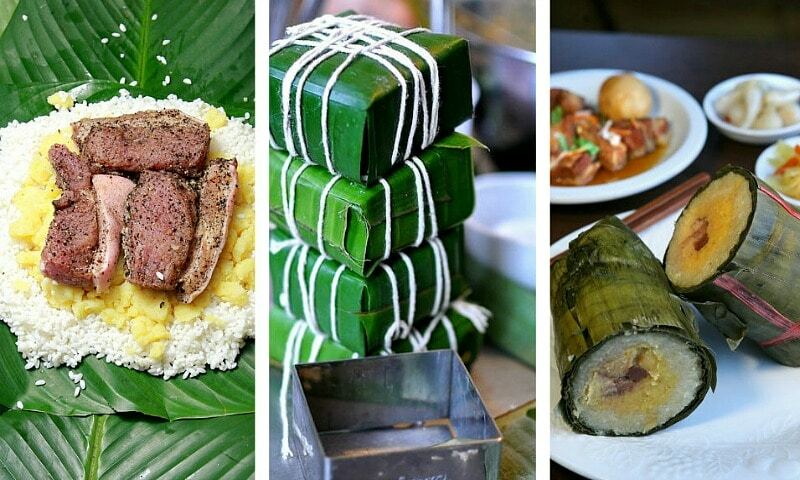 The main ingredients are pork meat, glutinous rice, and green beans which are wrapped in a fresh square Dong leaves (Phrynium) – which give the cake a beautiful green color after being boiled. The following is a detailed Vietnamese Chung Cake recipe you can learn from! In a pot, place mung beans into and pour enough amount of water to cover it up. Boil it up over medium heat, reduce the heat to a simmer level and cook. Stir the beans now and then till they are mashable (for about 20 to 30 minutes). Then, mash the beans into a good paste using a spoon of potato masher. After that, season them with the prepared 1 teaspoon of salt, 1 teaspoon of pepper, vegetable oil and fried shallot. Next, place the pork onto the beans, add the remained amount of beans, followed by the rest of the prepared rice. Fold those leaves over the cake into a square. Do it tightly. Use strings to secure your cake. Boils for about 6 to 9 hours. Remember to keep an eye on your pot and add more water if necessary to keep the cakes well covered. The cakes will last for 10 days or so in a cool dry site. To serve, you open the cake and use strings to cut it into 8 parts. 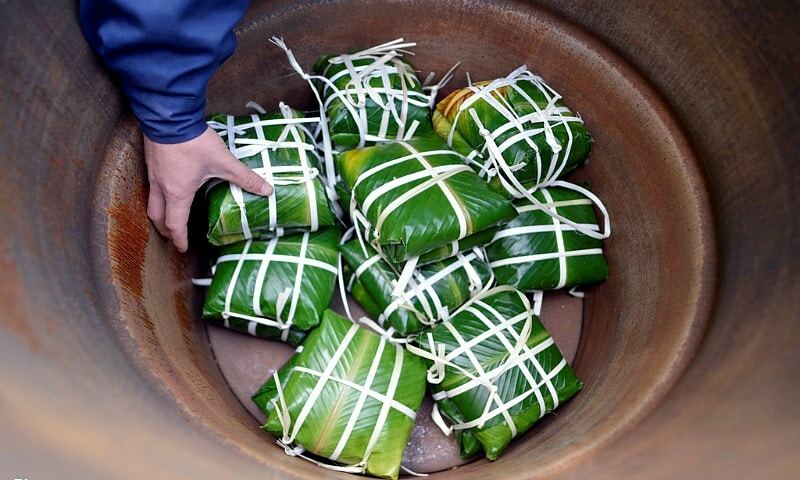 Vietnamese Chung Cake might seem tricky when wrapping but after you do it once, you will understand how it comes together. Chung Cake is best served with the pickled onions. You will definitely get unforgettable taste.